When Edward Gierek replaced Wladyslaw Gomulka as secretary-general of the Polish communist party, it was decided that FSM would make a popular car. Procution of the Syrena 105 started in 1972 and was transferred to Biesko from the FSO factory in Warsaw. 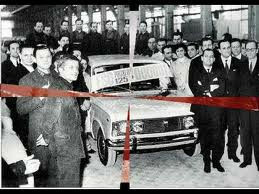 In October 1971 Poland bought the license for the manufacture of the Fiat 126. The 126 received a 650cc engine in 1976 and three years later FSM became the sole suppliers of the 126 on all markets. Parallel to 126 production the Syrena was continued in saloon, pick-up and delivery van versions. Altogether 344,077 Syrenas were made in the FSM factory. Up to early 1999 about 3,300,000 126s had been made.